'The Economic Factor in International Relations' is a timely reminder that economics cannot be treated unquestioningly, nor should its important be overvalued in the world today. An ideal guide for students of IR as well as history, politics or economics, it sets out the principles of that play-off between market and policy in the global arena, and seeks to establish the basis for an intelligent critique of economics' importance in the world order. Publisher I.B. Tauris & Co. Ltd. Edition Statement 19th Nineteenth ed. 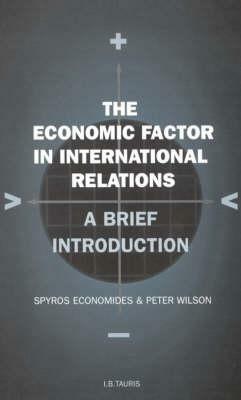 Spyros Economides and Peter Wilson are both Lecturers in International Relations at the London School of Economics and Political Science (LSE).